1. It´s been a different season for you compared to the last one, what are the main reasons for you being in relegation fight? The term “polar opposite” probably says it best. On the surface the squad isn’t that much different – N’Golo Kante apart of course – but it seems there is a motivation issue with some key players. A lot of them are on huge new contracts and the team spirit and togetherness just doesn’t seem to be there like it was last season. I think it also shows just how much of a perfect campaign we had last term, this is the situation a lot of people expected us to be in at the start of the 2015/16 campaign, so there’s some element of regression to the mean in that regard. 2. 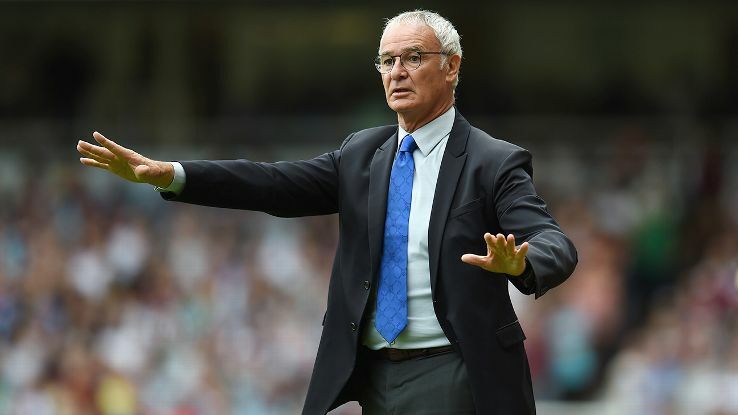 What are your thoughts on Claudio Ranieri, do you think he should be replaced? First up, I’ve got to say that I will always regard Claudio Ranieri as a Leicester legend. What he’s achieved with the team is truly unbelievable, but there is a very real chance that we’ll be relegated if he remains in charge. If the owners feel that he has earned the right to take the team down and be given 6 months to turn things around, then so be it. However, they’re business men first and foremost and the loss of TV revenue and, perhaps more importantly, the club’s profile which has seen their net worth increase at a rapid rate in the past three years, is a hefty price to pay. I think a change of manager isn’t far away, especially if we suffer a heavy defeat on Wednesday night against Sevilla. 3. 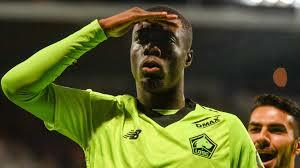 It´s been about a month since the transfer window closed, are you satisfied with what happened at your club? In a word, no. One of the key losses in the summer was Steve Walsh, our head scout, who went to be DoF at Everton. Since his departure there has been a marked change in the quality of our transfer business and most of the summer signings have been largely poor. We broke our club record fee twice (Ahmed Musa and Islam Slimani) and neither have looked worth anything close to their astronomic price tags. January’s lack of business is a key reason why we’ve struggled in the past few weeks. The ageing squad needed serious reinforcement and it just hasn’t materialised. 4. Has last years league trophy changed anything around the club? Obviously everyone now knows who you’re talking about when you refer to Leicester City, the amount of foreign interest in the club’s fortunes has no doubt been a huge financial boost. The owners have the fan’s best interests at heart though, the season ticket prices have stayed very reasonable and there’s still a fantastic relationship between fans and the club’s hierarchy, which is a rarity in today’s footballing world. 5. What do you need to do to stay up? I genuinely believe Ranieri will take us down. That’s not a hysterical overreaction, it’s simply a result of watching the team week in, week out. We’ve been sucked into a relegation battle and we’re the worst side in the division without a shadow of a doubt at the moment. Obviously there’s nothing we can change personnel wise but I think some key players aren’t taking responsibility for the current situation we find ourselves in, that’s unlikely to change while Ranieri is there. His man management style clearly isn’t getting the results and it could be time for some fresh ideas. 6. How do you think Leicester will approach the game against Liverpool on monday? Obviously Liverpool aren’t in the best of form themselves, but they certainly have the weapons to hurt Leicester, as we’ve already seen once this season. Teams have figured out that playing deep and not offering space to the likes of Vardy and Mahrez is the way to blunt our attack. As a result we now need to be more confident on the ball and try to control the game in the centre of the park. That’s an area of real weakness for City of late, no matter who we start with, they’re losing that battle and our issues are stemming from there. Hopefully something will click back into place midweek and we’ll get some confidence back but it might not be the worst idea to try and operate a 3-5-2 with wing-backs to try and secure more possession. Our forwards are woeful short of confidence and trying to create opportunities when you’re down on morale and only getting 40% or less until you concede isn’t a recipe for success. It’s not the only issue but being a bit more ambitious wouldn’t be a bad place to start. It’s a sad day when a manager who won the Premier League the previous season isn’t in his job less than a year later, but the Thai owners know that we would have been relegated with him at the helm and financially that’s a disaster. In terms of a replacement, if they follow the Ranieri mould then it’ll be a high profile appointment, perhaps Roberto Mancini or Avram Grant, someone who has taken charge of big clubs before in the English top flight and can further the King Power brand. Personally, I’d opt for Gary Rowett, an ex-player but a young manager with heaps of promise, but that is likely to be too much of a gamble given the perilous situation the club finds itself in at the moment.